Selling Gold Jewellery to us: Frequently Asked Questions - GoldSilver Central - Your one stop Gold, Silver and Platinum solutions provider! What Kind of Gold Jewellery can I sell to GoldSilver Central? 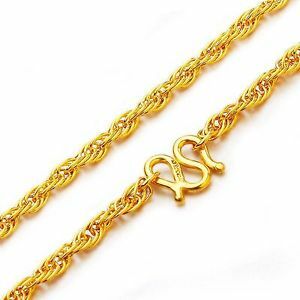 GoldSilver Central buys all kinds of Gold Jewellery of different purities (24K 999 to 9K 375) from all forms of Gold Jewellery such as Gold Rings, Gold Chains, Gold Bracelets, Gold Pendants. 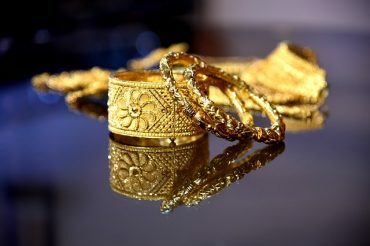 We do purchase Gold Jewellery in all different states - regardless of its worn-out/broken/used state. 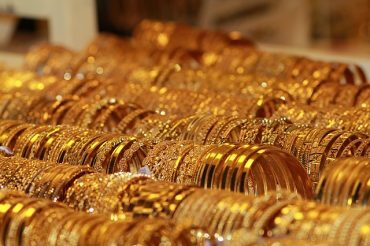 How long does the process of selling Gold Jewellery to GoldSilver Central take? It would largely depend on the amount of Gold Jewellery you are looking to sell to us and if your Gold Jewellery has element such as gems and stones. We would need to remove the gems and stones (strictly ONLY done after your approval for us to proceed with the removal of external elements). *Timing indicated here must only be purely used for reference. What payment methods are available to me from GoldSilver Central? Please take note that for Bank Transfers, we would require verification that the account belongs to you via the header of your Bank Statement with the following details: Name, Address, Bank Account Number. Please omit all other sensitive information. This is to ensure that when we send you the funds, it will be transferred to the correct and rightful account under your name. How does GoldSilver Central ensure that the Purity and Weight of my Gold Jewellery are accurate? For the evaluation of your Gold Jewllery, we would require the purity/fineness and the gold weight in order to provide you with a quote. The equipments we use for this process are a calibrated digital weighing scale meant for Jewellery and our metal alloy verification analyzer (XRF Analyzer). We will guide you through the entire process as we verify the items to ensure that you are constantly kept abreast of every single process of the Gold Jewellery buyback. Does GoldSilver Central have to remove elements of the Gold Jewellery such as Stones and Gems from my Gold Jewellery? In order to get the accurate Gold weight to provide the best quote for you, we would require external elements of the Gold Jewellery to be removed such as gems, stones, screws, springs and such. Please note that if we do need to remove any gems and such from your Gold Jewellery, we will ask for your consent and will ONLY proceed upon your approval. How does GoldSilver Central ensure Transparency when evaluating the value of my Gold Jewellery? During the evaluation of your Gold Jewellery, our team will take you through the entire process from start to finish by examining your Gold in front of you. This is to ensure a high level of transparency in the evaluation process. How does GoldSilver Central establish buyback prices for Gold Jewellery Buyback? What can I do before heading down to GoldSilver Central's office to Sell my Gold Jewellery? Before heading to our retail store, you can get an estimated price we will pay for your Gold Jewellery on the calculator presented on our "Selling Gold Jewellery to us" page. You can check the purity of your Gold Jewellery pieces by the hallmark present on the jewellery such as 916 or 999 or 750 and more. To monitor gold prices, you can sign up for an online account with us in which you will get a complimentary GSC Live! Account where you can monitor prices on the go. Will there be cases when you won't buy my Gold Jewellery back? In the case where the gold is plated or has a purity lower than 9K, we will not buyback the items. Can I get someone to sell my Gold Jewellery on my behalf if I am unable to do so personally? Yes, that is possible as well. Please take note that the buyback invoice, purchase order and amount issued will be addressed and given to the person who has brought the gold to our retail shop.